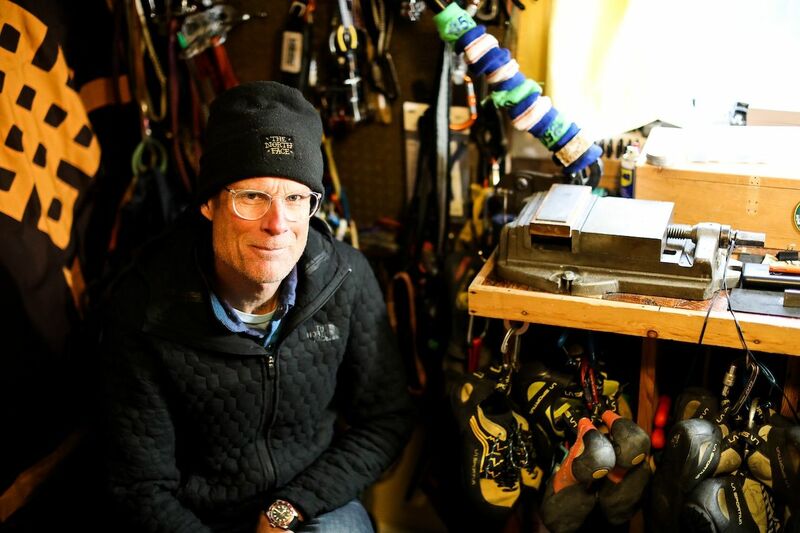 Conrad Anker first picked up an ice pick in 1982. Since then he climbs on ice. 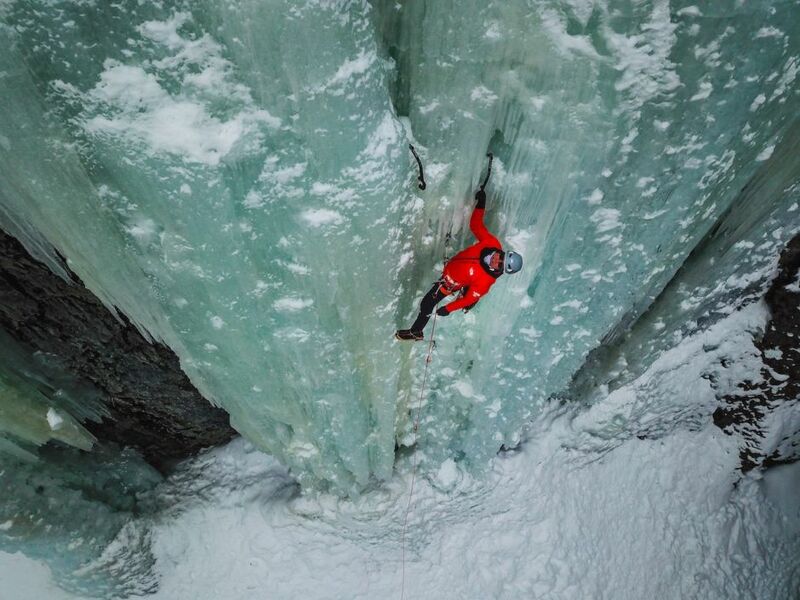 "When I'm at home in Montana," says Anker, "I absolutely live for ice climbing." 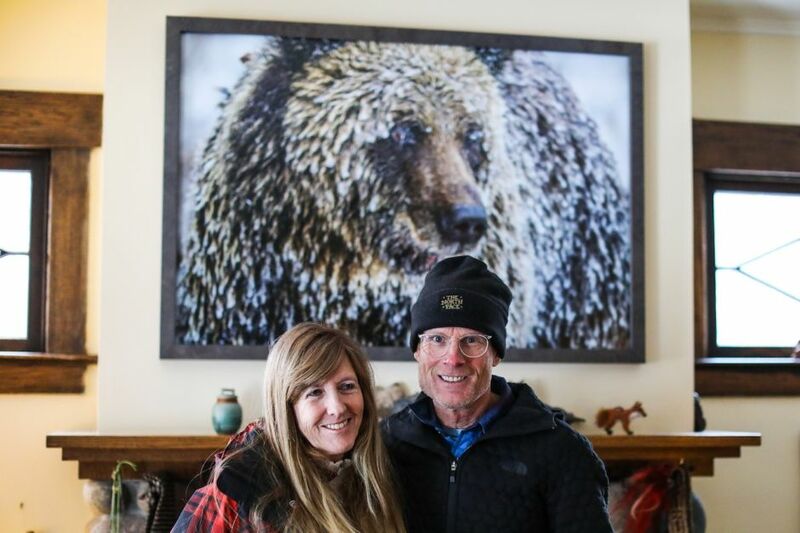 With world-class Hyalite Canyon just minutes outside his hometown of Bozeman, Anker spends a lot of time every winter. 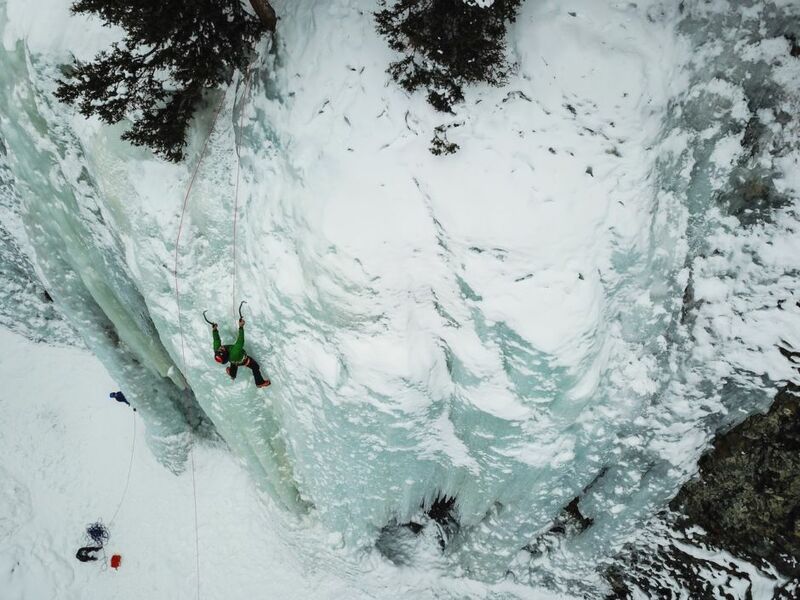 He has set up dozens of routes in the gorge, using the frozen waterfalls and overhanging cliffs of Hyalite as a practice room, training lab, and practice terrain before heading to the Himalayas every spring. 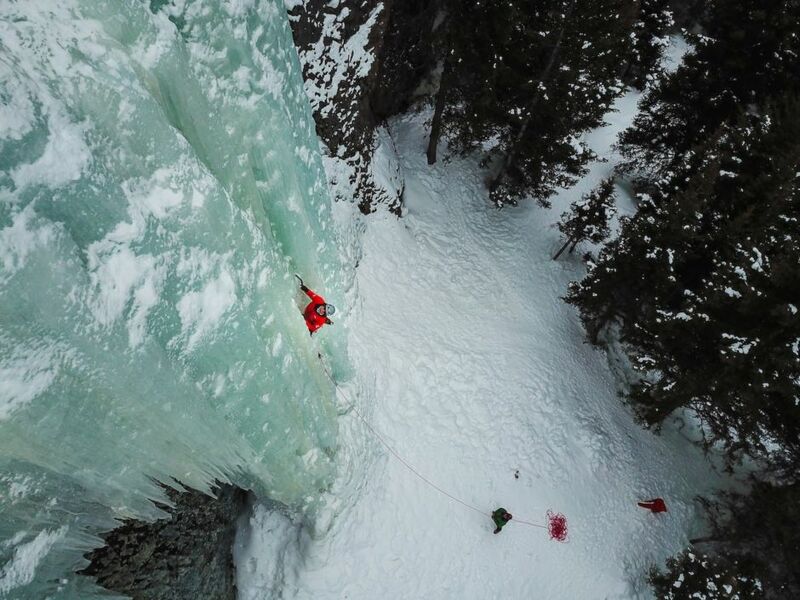 To describe Anker as an experienced ice climber would be a wild understatement. 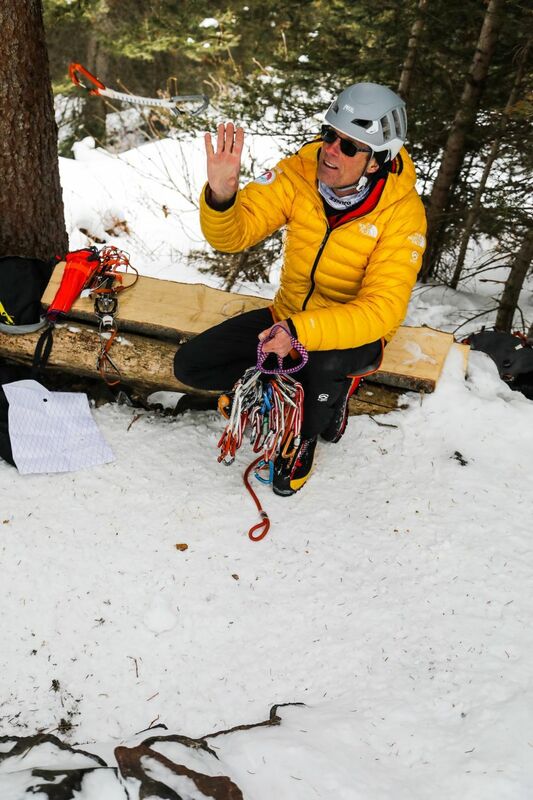 He is one of the best, most technically mature and expedition proven ice and rock climbers in the world. So I was excited and a bit nervous because I had done a day ice climbing with him on his home turf. 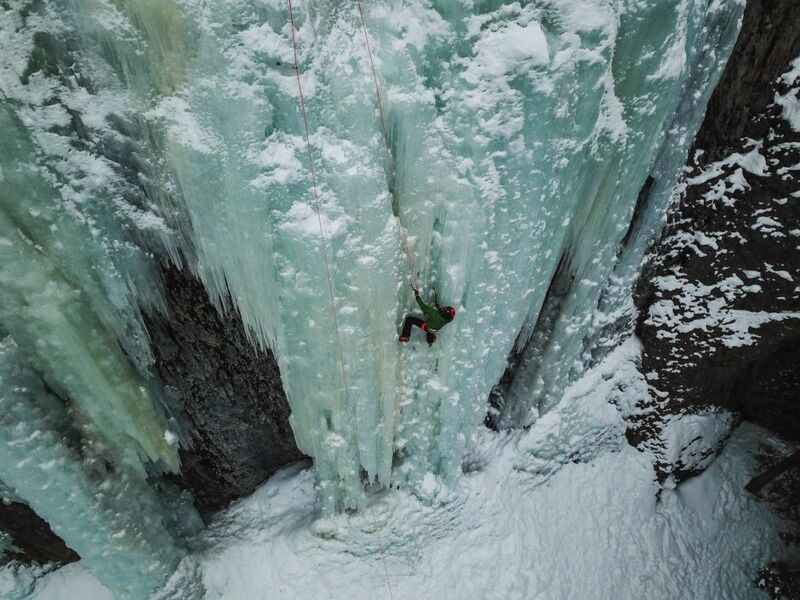 The only catch was, I've never been ice climbing before. "Well, there is a first for everything," Conrad replied in an e-mail. "It might as well be on Tuesday!" Gulp. Followed by: "It'll be fun or total misery, depending on how you define fun … My guess is that this will be worth two roller coaster rides. 😉 "Double swallow. I will not lie, this winking face scared me. Conrad in his equipment room to prepare for the climbing adventure of the day. 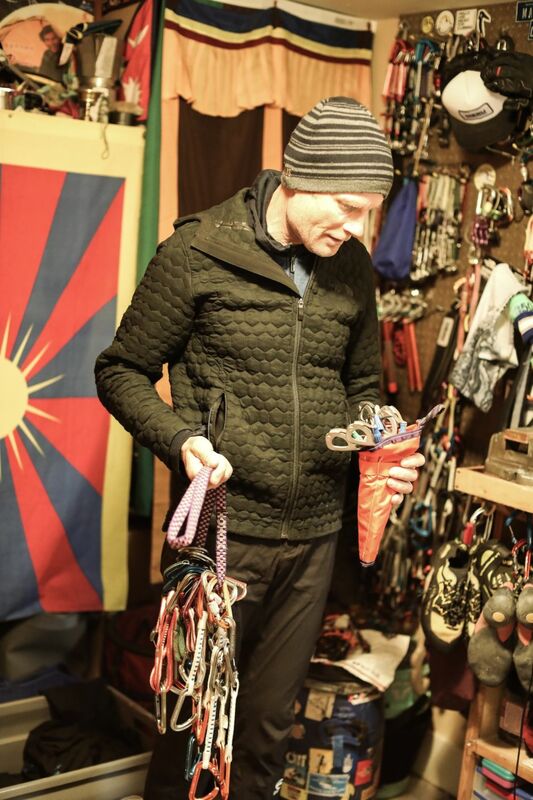 His equipment room is his inner sanctum; It contains everything he needs for an Antarctic expedition, Everest climbing or a day ice climbing with a complete beginner in Hyalite Canyon. All equipment is meticulously organized. Conrad's favorite cartoons, newspaper clippings, invitations, poetry, artwork, and personal memories cover the walls. Sharpen his ice axes before we go out. 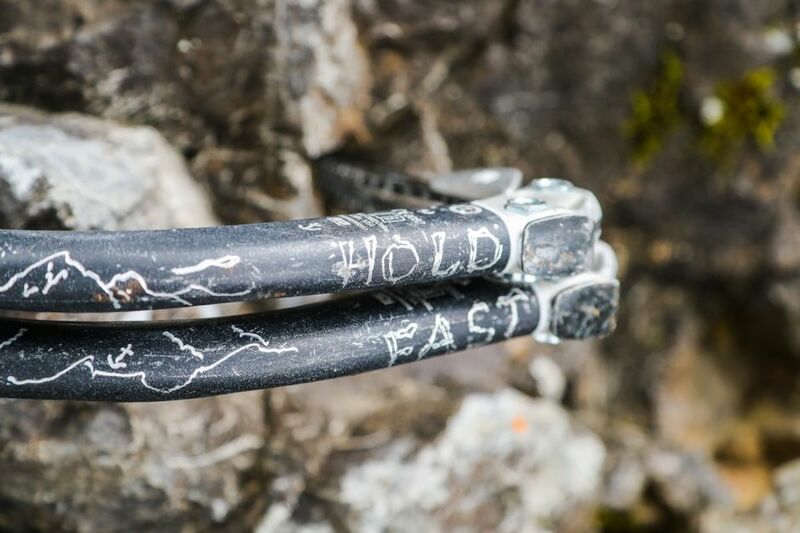 For climbers and climbers like anchors, equipment is more than just tools. he must be able to entrust his life to them. After a pleasant 20-minute drive from Conrad's home in downtown Bozeman to Hyalite Canyon, we parked the car, packed our gear, shouldered our backpacks, and walked another 15-minute through the snowy woods to the foot of a 60-foot frozen waterfall , Here we are at the end of the first climb to organize the ropes and other equipment. Conrad looks at the ice as he assesses the route. "The more vertical the climb, the better," he explains. "That way, when you fall, you'll be on the rope." Looking up at the ice wall, it was beautiful, but totally alien … I had no idea where I would ever climb it. Conrad, on the other hand, looked like he was saying hello to an old friend. 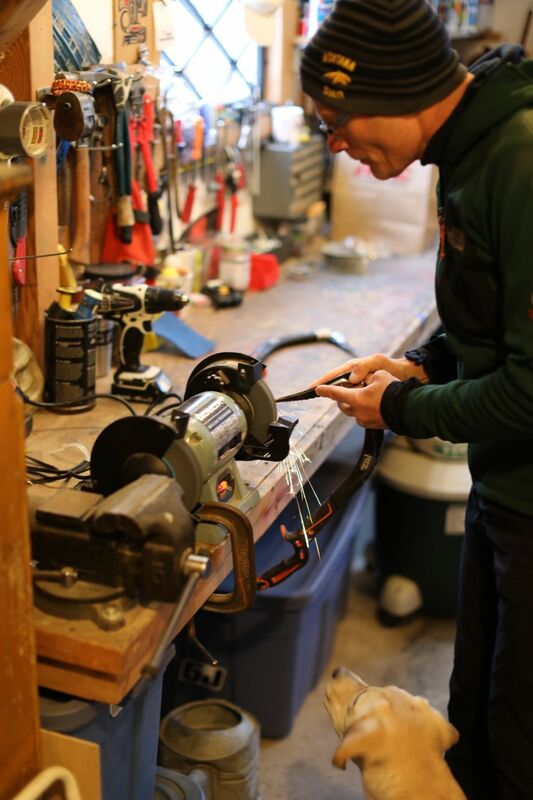 Conrad engraves each pair of his ice axes with the same statement. "Hold Fast" is a popular mantra and it is known to do just that. He rarely falls. When Conrad got ready to climb, he gave me some quick hints. "Use your crampons. Trust the tools. Do not gripe. "I was not sure what he meant with the last, but I soon found out. The ice ax is shaped to support your hand so you do not strangle it and burn your forearms unnecessarily. Of course, this is easier said than done when you are hanging on a vertical wall of ice 50 feet above the ground. It was fascinating to watch Conrad climbing. He went into a super-relaxed state, moving wearily onto the ice and then gently entering the vertical world. The whole process looked very natural and relaxed. His mobility and his spatial awareness on the icefall were amazing. It was obvious he was enjoying himself. 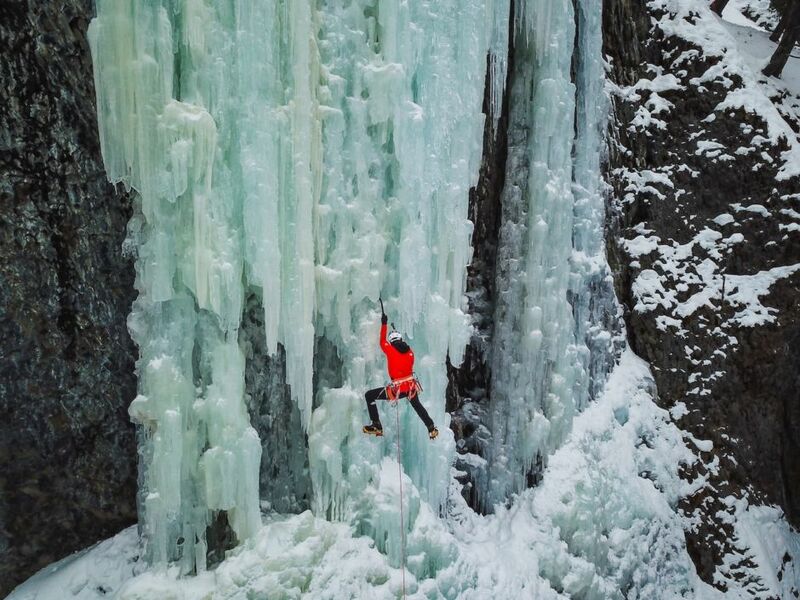 As he climbed the ice, he started to get faster. There I was, in the backyard for Conrad's crazy anchor, and I could barely keep up as he placed each ice screw, drilled into the ice, snapped it into a carabiner, and squeezed the rope. I was fascinated by its elegance, fluidity and rhythm. 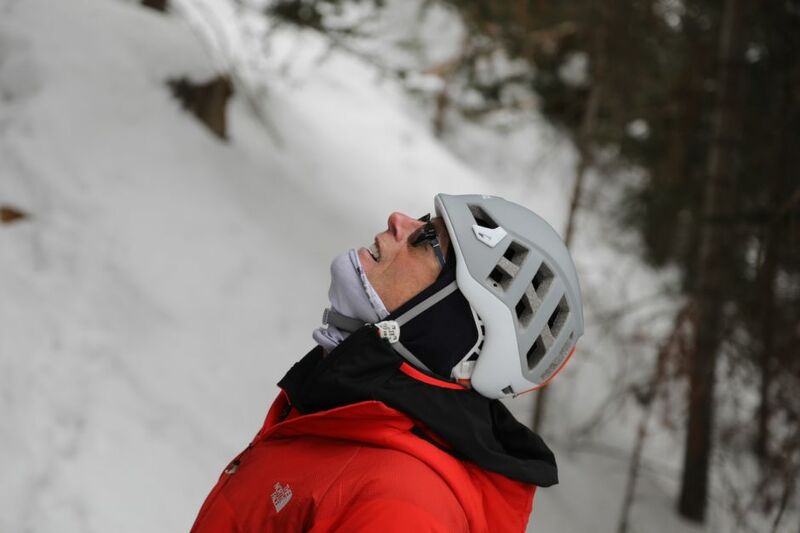 Conrad Anker sat on the icefall and took a moment to enjoy the view and greet the birds and the drone during the ascent. Climb up! After Conrad set up the top rope anchors, he called down and dropped me back on the ground, and then it was my turn. He handed me his ultra-light "Hold Fast" axes and said again, "Do not grip too hard." That's it. I followed his steps to the icefall and tried to look as calm and secure as he did. The first steps were awkward in my crampons. Once I hit the ice, they were incredible. Between the ice pick and the crampons you have a tremendous control. It's amazing to feel the ice pick and the sharp crampons step into the ice. Here I am shortly before the ascent. I was sweating violently with my forearms, which expanded by grabbing too hard. As the icefall became less vertical, the sharp ice axes and crampons felt less reliable. This was definitely the hardest part of the climb for me. On to the next climb! I'm low down looking for chunks of ice as Conrad works his way up to Hyalite Canyon in this beautiful two-story icefall. Thank you, Conrad and Jenni! What a day. We ended the adventure in Conrada's house in the sauna, followed by a delicious home-cooked meal. 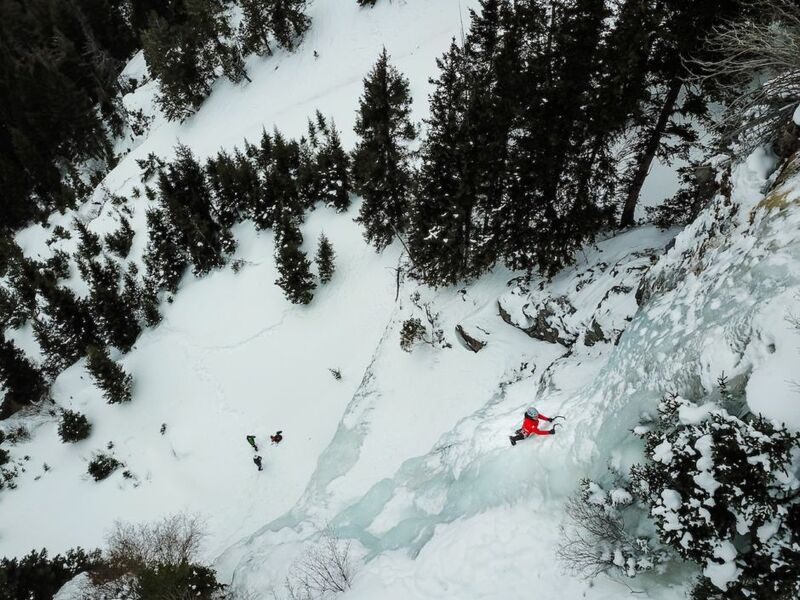 I do not think I could have wished for a better first ice climbing experience. It was a challenge, but also incredibly rewarding, and it was an incredible feeling to climb a frozen waterfall with ice picks and crampons. Especially learned from a master of ice climbing and climbing like Conrad Anker.